Smoothens and softens the skin. 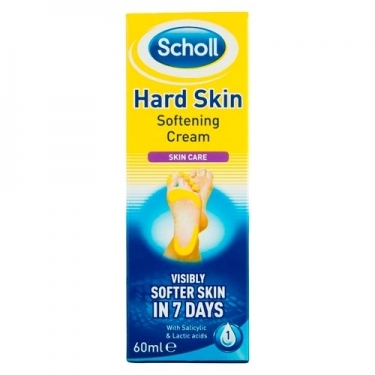 DESCRIPTION: Hard Skin Softening Cream from Dr. Scholl is a cream, which helps to moisturize and eliminate the calluses of the feet. Texture in fondant, with salicylic acid, lactic acid and emollient agents, for a moisturizing, exfoliating, regenerating and softening action. The skin on the feet becomes smoother, softer and smoother. Quickly absorbed, it leaves no oily sensation. Visible results in just 7 days. Ideal for the calluses of the feet. Dermatologically tested, without perfume. Continue its use to prevent the formation of calluses or the appearance of hardened skin.